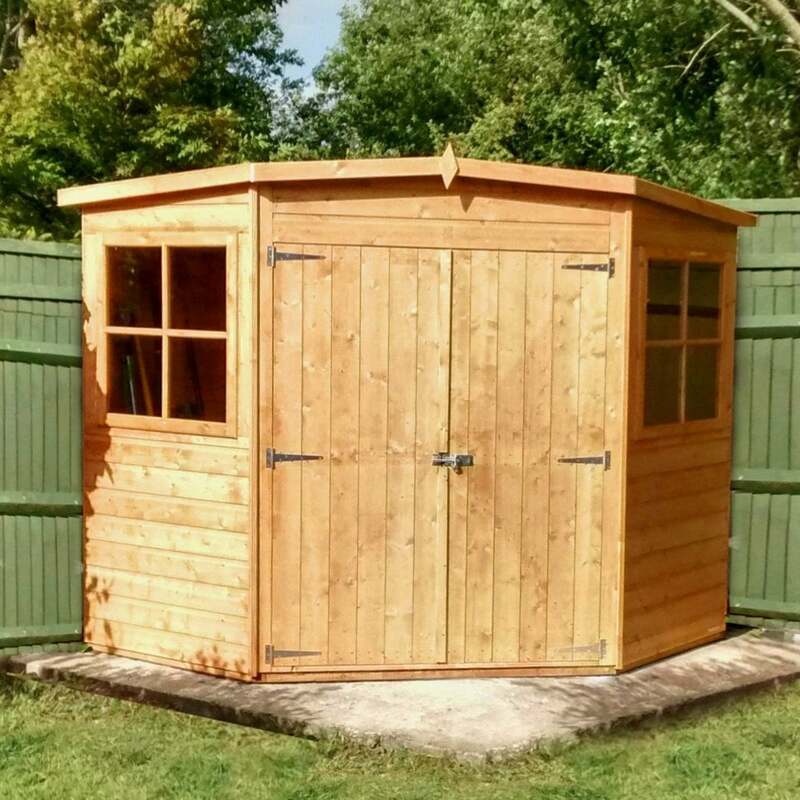 Shire Corner 8 x 8 Shiplap Shed: The Corner Shed from Shire is a great storage solution for an unused corner of the garden, perfect for tools and other garden equipment. Shiplap 12mm tongue and groove timber is used for the cladding and floor, and 8mm OSB is used for the roof. The 8 x 8 Corner is pressure treated to prevent rotting. Two opening windows give ample airflow and natural light.